Epson has announced a benchmark range of flatbed film and photo scanners at Photokina. PlanOn SkanStik SK600V is the world's smallest full page colour scanner. Canon has launched a new top of the range photo scanner with advanced software. Reflecta has launched a new easy to use iPad scanner. Kodak have announced the launch of a software to help businesses remotely manage Kodak scanners. Kodak is launching the SCANMATE i940 later this year. Canon increases scanning speeds with new CanoScan LiDE 210 and CanoScan LiDE 110. Canon’s CanoScan 9000F provides high quality film scanning at speed. The Palm size SmartPhoto P60 photo scanner turns your prints and photographs into digital files in seconds. 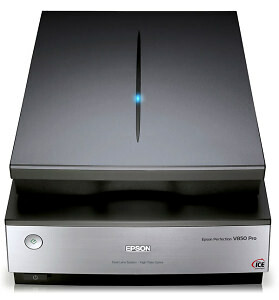 Epson Perfection V600 Photo, an energy-efficient scanner for photographers. Intelligent 3-way scanning for rapid, high-resolution results. Epson's new scanner is the perfect tool for photographers.